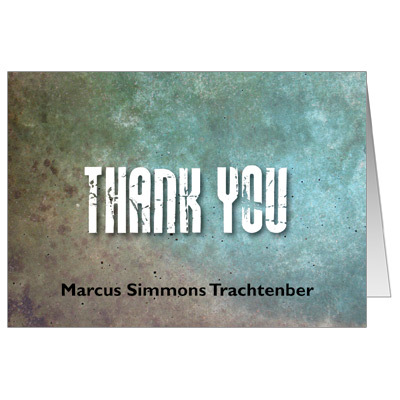 This modern and distinct thank you card is a great pairing with our Granite Grunge invitation. A grungy background in shades of teal contrasts with black and white cracked type. Folded card measures 5x3.5.